Your rat tail is all the fashion now. 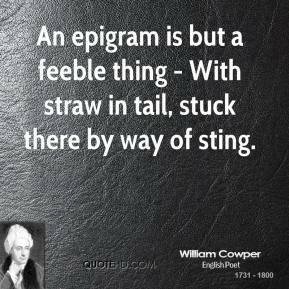 I prefer a bushy plume, carried straight up. You are Siamese and your ancestors lived in trees. Mine lived in palaces. 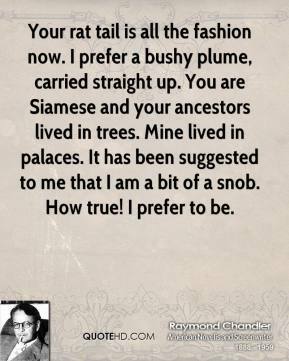 It has been suggested to me that I am a bit of a snob. 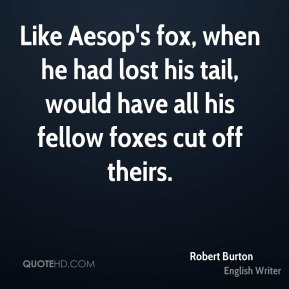 How true! I prefer to be. 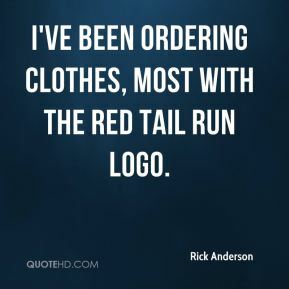 I've been ordering clothes, most with the Red Tail Run logo. 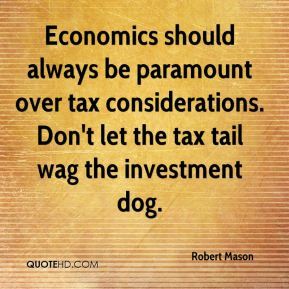 Economics should always be paramount over tax considerations. 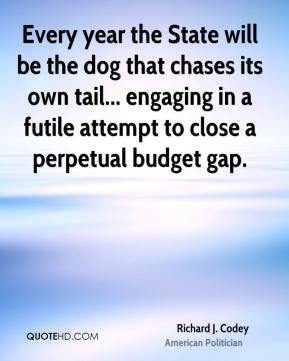 Don't let the tax tail wag the investment dog. I've never seen them this bad, this early in the thing. 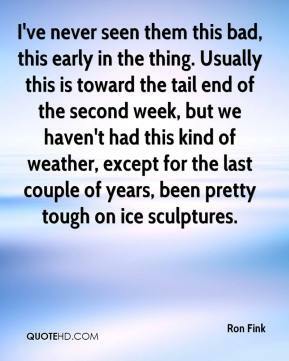 Usually this is toward the tail end of the second week, but we haven't had this kind of weather, except for the last couple of years, been pretty tough on ice sculptures. That's what we wanted to do. Come in and get the win. 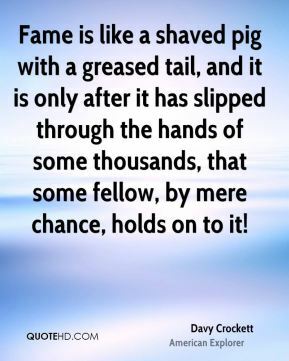 We know they're on our tail. 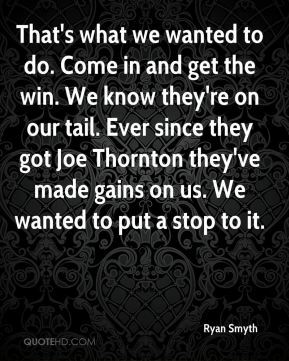 Ever since they got Joe Thornton they've made gains on us. We wanted to put a stop to it. 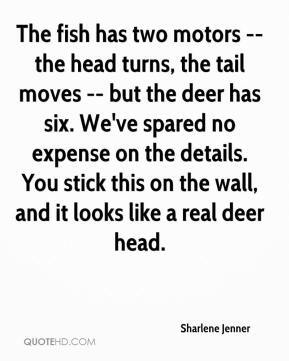 The fish has two motors -- the head turns, the tail moves -- but the deer has six. We've spared no expense on the details. You stick this on the wall, and it looks like a real deer head. He's just worked his tail off. He was everywhere tonight. 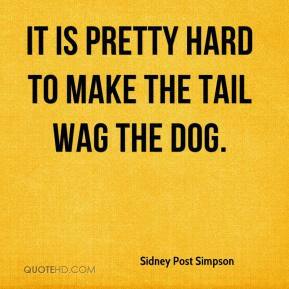 It is pretty hard to make the tail wag the dog. 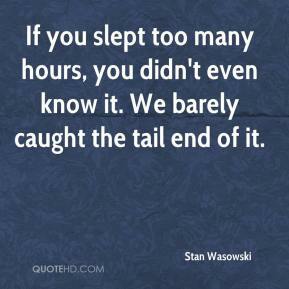 If you slept too many hours, you didn't even know it. We barely caught the tail end of it. And his long coats. 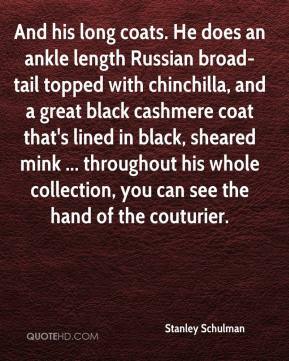 He does an ankle length Russian broad-tail topped with chinchilla, and a great black cashmere coat that's lined in black, sheared mink ... throughout his whole collection, you can see the hand of the couturier. To make sure you don't have any restrictions in your tail pipe. 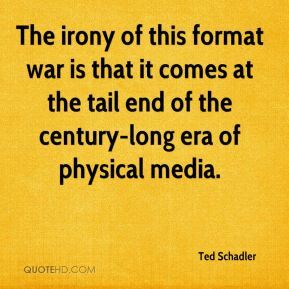 The irony of this format war is that it comes at the tail end of the century-long era of physical media. 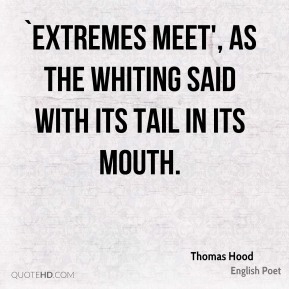 `Extremes meet', as the whiting said with its tail in its mouth. 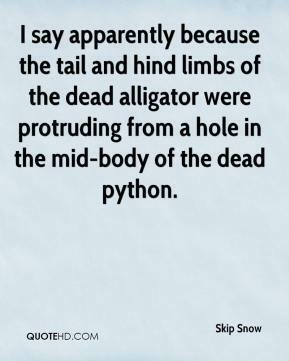 It was Lincoln who said that if you call a tail a leg, how many legs has a dog? The answer is four. 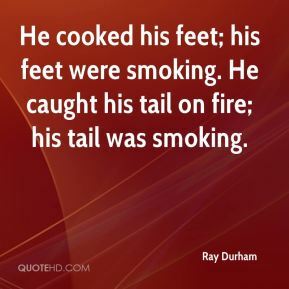 Calling a tail a leg doesn't make it one. 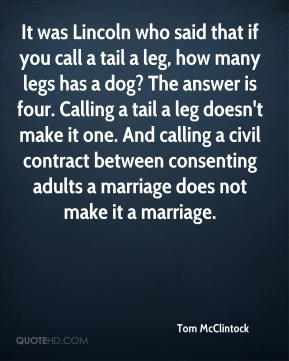 And calling a civil contract between consenting adults a marriage does not make it a marriage. 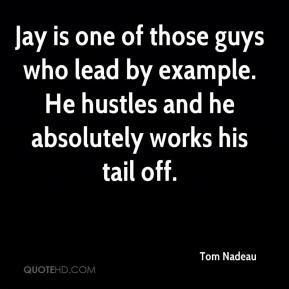 Jay is one of those guys who lead by example. He hustles and he absolutely works his tail off. 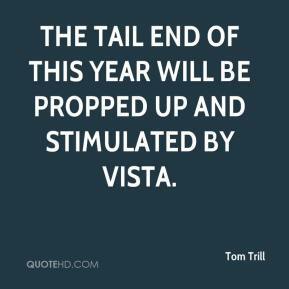 The tail end of this year will be propped up and stimulated by Vista. 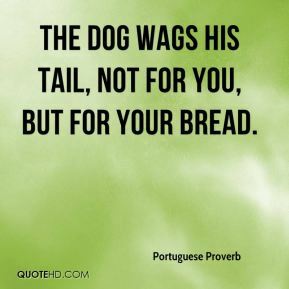 The tail is wagging the dog. 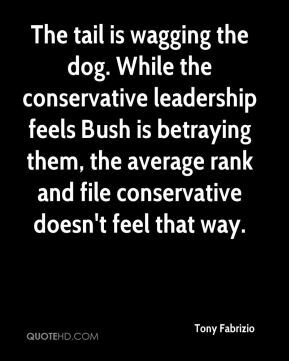 While the conservative leadership feels Bush is betraying them, the average rank and file conservative doesn't feel that way. Wherever they want me, I'll work my tail off to be the best I can at that position.